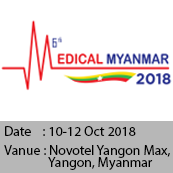 Medical Myanmar 2018, Pharma Myanmar 2018 and Hospital Construction Myanmar 2018 are the only specialized medical, hospital and pharmaceutical events in Myanmar that brings together an international congregation of Medical & Healthcare equipment and services, Hospital Construction Technology and Pharmaceutical companies and also its supporting industries gathered in Yangon to showcase the latest developments in the medical, hospital and pharmaceutical industry. The main objectives of this exhibition are to increase IMR visibility in becoming the world renowned biomedical research institute and to promote research culture and innovation amongst the school student. Eight (8) Research Centres will collaborate to exhibit their expertise and critical functions such as national referral centres and laboratories for the Ministry of Health (MOH), outbreak and pandemic investigations, specialized diagnostic services and specilized training cources and workshops. The seminar aimst to bring together leading Obstetrics & Gynaecologists, Endocrinologist, Paedoatricians, Pathologists, Oncologists, Geneticists, Family Medicine Physicians, Human Genetic Scientists, Human Genetics Researchers, Allied health professionals in the field of Human Genetics, Laboratory Technologists to exchange and share their experiences on aspects of Human Genetics. 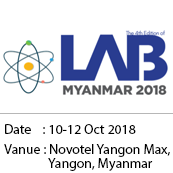 It also provides an interdisciplinary platform for clinicians and educators to present and discuss the most recent trends and concerns as well as practical challenges encountered and solutions adopted in the field of Human Genetics.